Defy doomsday by taking up arms and joining the resistance, own the octagon on your journey to MMA superstardom or stunt and jump yourself all the way to ultimate glory! The Far Cry series throughout the years has taken players to exotic islands, Himalayan mountains, the African bushveld and even back to prehistoric times. So where to next for the popular series? Well the good old United States of America of course. Far Cry 5 takes place in the serene looking, yet deeply twisted areas of Montana. As the new junior deputy of Hope County, Montana, players will fnd that their arrival accelerates a yearslong silent coup by a fanatical doomsday cult, the Project at Eden’s Gate, igniting a violent take over of the county. Under siege and cut oﬀ from the rest of the world, the player will join forces with residents of Hope County and from the Resistance. 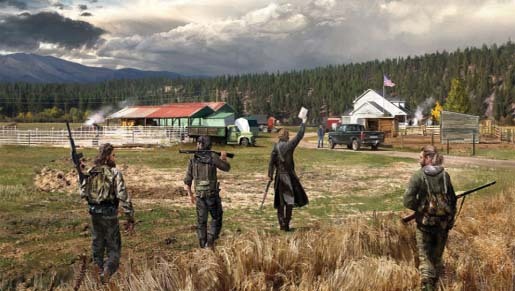 Far Cry 5 not only features a brand new location and villain, but also features new vehicles in the form of aeroplanes, opening up the impressive open world even more. Attack enemy bases from the sky and unleash your justice from above. To take down the cult, players will need to utilise any and all weapons at their disposal, including ranged weapons such as guns and grenades and melee weapons like a sledgehammer or baseball bat. Additionally, players can recruit Guns for Hire from a large cast of characters, or even Fangs for Hire, specialised animals like bears and cougars to complement players’ playstyles whether they’re going in stealthily or forcefully. How players approach each situation and the chaos they create is up to them. 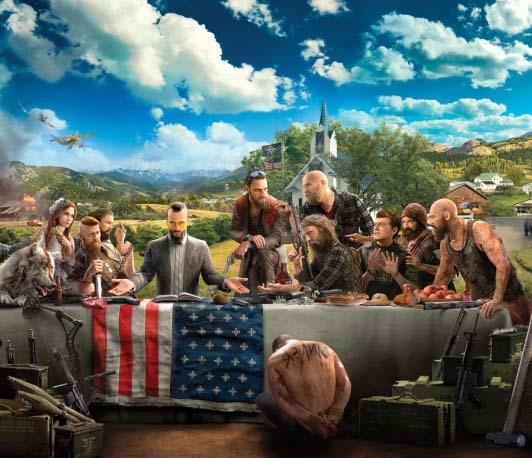 Far Cry 5 is an interesting new direction for the series, but with all the elements that made the series such a hit frmly in place. It’s a clever, funny and terrifying frst-person shooter and is already a candidate for game of the year for 2018. EA Sports returns to the Octagon for another attempt at recreating the most intense sport on the planet. With UFC 3, every punch, kick, block and counter has been recaptured and rebuilt using cuttingedge Real Player Motion Tech. 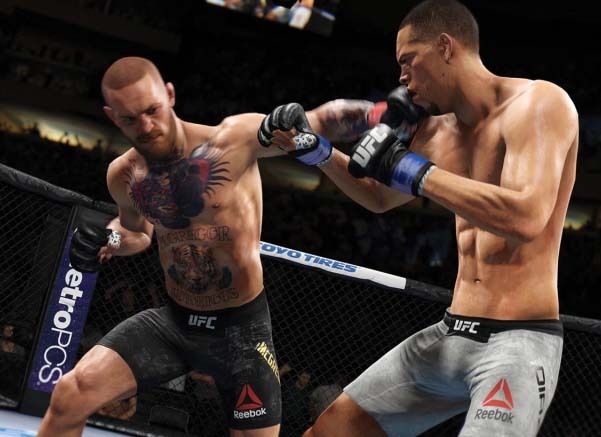 With over 5000 new animations captured and rebuilt from the ground up, you can now move, strike and create seamless combinations with the ﬂuidity and freedom of the world’s best UFC fghters. Slip and strike while in full motion to execute dangerous counterattacks, adding new strategy and competition to every fight. The biggest new addition to UFC 3 however is that of the G.O.A.T. Career mode. For the frst time ever, the choices you make outside the octagon impact your greatness inside it. Between each bout, make promotional choices that will help you gain fans, build hype for your next fght and potentially earn you more lucrative contracts from the UFC. However you will not start as a UFC fghter, that honour needs to be earned. Instead you start your MMA career in the World Fighting Alliance, and it’s up to you to put in the kind of performances that will catch the eye of UFC boss Dana White. Once drafted into the UFC, it is up to you on how to hype your fghts, annoy your rivals and march on towards the title of the G.O.A.T. EA Sports has always been known to create good-looking sport titles, but UFC 3 might just be the best looking fghting game ever made. The player likenesses are scarily accurate and the movements are as lifelike as you can get. UFC 3 is a massive step forward for the franchise, making it arguably the best fghting game available today. Even if you’re not a fan of the world of mixed martial arts, you will fnd something to love in UFC 3. Since it’s initial release back in 2005, the MX VS ATV series has been synonymous with fun, fast-paced oﬀ-road racing experiences. In its 13-year existence, the series has grown into a powerhouse with each iteration improving on the last. 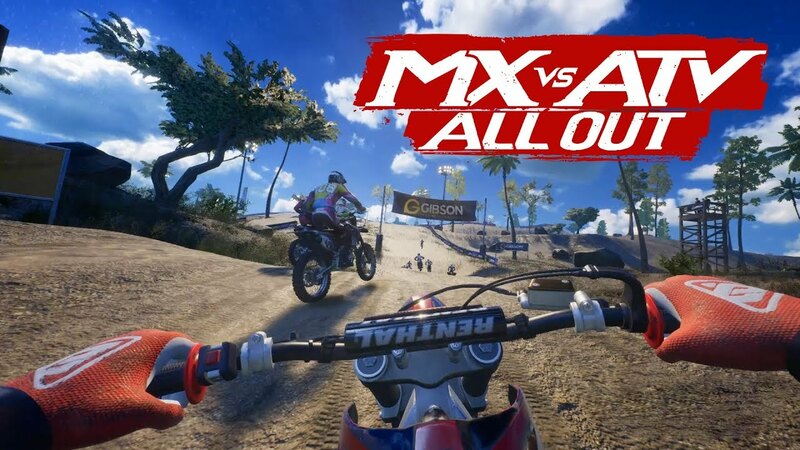 Now in 2018, MX VS ATV ALL OUT is without a doubt the best in the series. Choosing between bikes, ATVs and UTVs, you will get to refne your rider style at your private compound and race across a massive open world to compete in various game modes. New to the series is the Freestyle mode which allows you to perform insane stunts across various terrains, the bigger and ﬂashier the stunts the closer you will get to victory. It’s an incredibly fun mode that is easy to play but hard to master. Multiplayer has also seen a big upgrade with 2 player split-screen local co-op play and an impressive 16 player online mode. Challenge your friends and fellow all-terrain fans from across the world for ultimate glory. As with previous MX VS ATV games, you get to select from numerous gear and vehicle companies from around the world, adding to the impressive realism of the series. Upgrading your vehicles is always a vital part to winning in style or being left behind and MX VS ATV All Out gives you even more freedom to tune your ride to your exact specs. Created from the ground up for current consoles, MX VS ATV All Out looks fantastic and plays better than ever before. If you’re a fan of the series or new to the exciting world of all-terrain racing then MX VS ATV All Out is without a doubt for you.